Rachel Muston was born in 1925 in Bokchito, OK. Growing up on the farm, Rachel was riding before she was walking. She rode a horse to school five miles everyday until she was in the 8th grade. She later moved to California where she was a welder in the shipyards and met the love of her life, Clovis. They have 3 daughters. While living in Modesto, CA, Clovis and Rachel owned the C-C Ranch and produced many ropings and gymkhanas. Rachel even rode their race horses at the Salinas and Livermore race tracks. Always willing to help where needed, she supported Clovis in all of his activities. While in California, Clovis and Rachel owned a ranch and started the C-C Riding Club. They held numerous ropings, gymkhanas, and even horse racing events. After two of their daughters moved to Idaho, they followed in 1972. In 1980 they purchased the Rayne and Seale Arena in Nampa, ID, renaming it the Nampa Sports Arena. Clovis supported rodeo by having several Indian and Mexican rodeos and ropings at this arena. 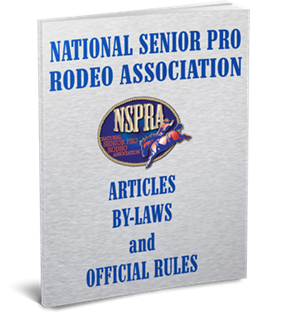 Rachel joined NSPRA in 1991 and competed in team roping and ribbon roping. She was named Woman of the Year in 1996 at the Blackfoot Senior Pro Rodeo and was secretary for the Idaho Cowboys Association. In 1982, she won the Idaho All Girls Association in team roping as a heeler. Clovis and Rachel roped in the Northwest Old Timer’s Association. She was always ready to run when a ribbon roper needed a partner. When Rachel wasn’t roping or warming up Clovis’ horses for him, she could be found baking pies, cooking, sewing, or working with wood in their shop. Many of her rodeo friends were treated to Rachel’s cooking while on the road. Rachel would still be riding and roping today except for the loss of her eye sight at age 77. Over the years, Clovis and Rachel Muston made many lasting friendships and have always supported the rodeo world.